The Central Purchasing Office (CPO) is organized to serve the procurement objectives of New Mexico State University (NMSU) and is responsible for updating departments on policy revisions. In order to ensure compliance with State of New Mexico purchasing statutes, the NMSU Board of Regent’s (BOR) policies, and all federal and State of New Mexico (State) laws, all purchases of supplies, materials, equipment, and services for NMSU will be made through the CPO, unless otherwise stated in these procedures. All money received by a department of NMSU, regardless of its source, is considered to be NMSU funds and is to be expended under the procedures set forth herein. CPO has delegated authority to departments for purchases less than or equal to $3,000; however, CPO reserves the right to review purchases for final approval. Detailed procedural training guides for the Purchasing (Banner) System are available from the Center for Learning and Professional Development for all employees involved in the purchasing, receiving, and payment authorization process. The CPO has the sole authority for ordering supplies, materials, equipment, services, and construction. No individual may make a purchase directly without approval of the CPO except as outlined below in specific sections. According to State and NMSU policy, purchases made without proper approval may become the personal obligation of the person originating such a purchase. In addition to the requirements of State and federal laws, the BOR has adopted regulations and policies to be followed for institutional purchases. NMSU funds may not be used for personal gain or use or for items as designated in section 4.00.45. Every attempt will be made to act fairly in obtaining bids, proposals, and information for preparation of bid and proposal requirements and specifications. NMSU will attempt not to favor one firm, individual, or company over another in obtaining information for preparation of specifications. Bids will be awarded to the lowest responsible bidder, giving due consideration to price, quality of product, and time of delivery. (section 4.05). All purchases, except as stated in section 4.00.40, require previous entry and approval in the Purchasing (Banner) System. Purchases may not be split to avoid competitive requirements. Orders placed in such a manner may be determined to be the obligation of the person originating such a purchase. The CPO has certain assigned responsibilities for the management and control of inventoried property. NMSU property belongs to the University as a whole and not to any one department or program. To help NMSU economize and make maximum use of its resources, departments are asked to support the property recycling program by being aware of and using available surplus property. NMSU Surplus Property is responsible for disposing of all NMSU property, except property to be used by the CPO as a trade-in or exchange. No other person or department is authorized to sell or exchange any item at any time. Only the Board of Regents, the President of NMSU, and Central Purchasing Office’s authorized buyers or their delegated representatives may sign a contract that legally binds NMSU. No employee of NMSU, in particular those engaged in the procurement function including, but not limited to, Purchasing Agents and Buyers, shall accept favors, gifts, or gratuities either directly or indirectly from any vendor, representative, or business firm. This applies to every employee regardless of the nature of position at NMSU. The Central Purchasing Office (CPO) has been assigned the responsibility for insurance control and management for NMSU. The general liability, vehicle liability, medical malpractice, and physical damage insurances are presently carried by State of New Mexico Risk Management Division (RMD). Claims and other activity are to be processed through RMD via the CPO. The CPO is responsible for processing insurance policies, claims, and insurance clarifications for general and fleet liability. Insurance coverage includes general liability, employee liability, medical malpractice liability, law enforcement liability, employee bonding, officers and board members liability, workers compensation, building physical coverage, builders risk, property damage/loss, fine arts loss, vehicle liability, vehicle physical damage, aircraft liability, and aircraft physical damage. Personnel assignments to foreign locations have to be reported to the CPO. This information will be relayed to the appropriate agent/carrier for insurance coverage. Additional information may be obtained from CPO. The Anti-Kickback Act of 1986 (41.U.S.C.51-58) was passed to deter subcontractors from making payments and contractors from accepting payments for the purpose of improperly obtaining or rewarding favorable treatment in connection with a prime contract or subcontract. Imposes criminal penalties on any person who knowingly and willfully engages in the prohibited conduct addressed in paragraph (a) of this subsection. Provides for the recovery of civil penalties by the United States from any person who knowingly engages in such prohibited conduct and from any person whose employee, subcontractor, or subcontractor employee provides, accepts, or charges a kickback. Individuals who become aware of violations of this provision shall immediately report the incident to Administration and Finance who in turn shall notify Audit Services. State law does not permit for payment in advance of delivery of goods and services. Vendors generally will invoice NMSU for goods and services as they are delivered. (For allowable exceptions, see section 4.40.50). Unless specifically excluded within this policy, no warrant, check, or other negotiable instrument shall be issued in payment for any purchase of services, construction, or items of tangible personal property unless the CPO certifies that the services, construction, or items of tangible personal property have been received and meet specifications. 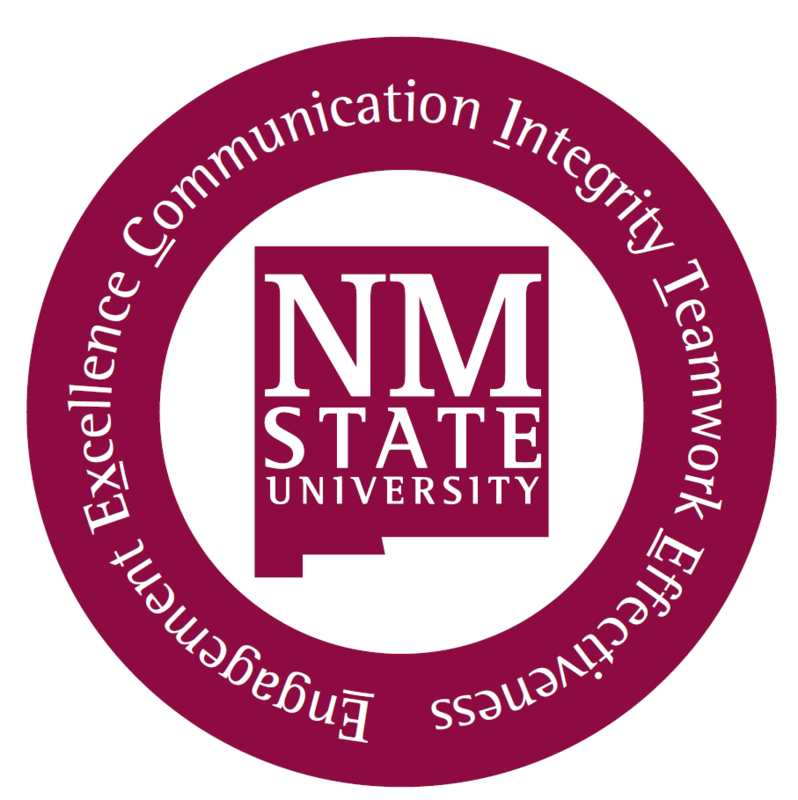 NMSU is an agency of the State of New Mexico and is exempt from all applicable federal and most State taxes. New Mexico Gross Receipts Tax (NMGRT) should be paid for services and construction projects only. NMSU’s State Tax Exempt Certificate Number is 01-507888-004. Tax exemption is for University purchases for University use only and not for purchases for personal use. The following are examples of unallowable and restricted purchases on any University account. The list should not be considered all-inclusive but merely a guide for purchases that are not allowed. Some purchases may be allowed against a University fund but are not allowed to be purchased using a University Procurement Card (PCard), section 4.40.645. PCards allow expenditure of University funds prior to review and, are therefore, not appropriately used for all transactions. These purchases, if made with a PCard, may require refund from the vendor or reimbursement by the card holder and tracked as a misuse or decline violation. The Central Purchasing Office (CPO) shall purchase all materials and services by issuing Purchase Orders in accordance with State of New Mexico Procurement Code requirements. Separate purchases of the same or similar materials or services from the same supplier at the same time or about the same time shall be considered a single purchase. The CPO will assist in obtaining quotes/bids greater than $3,000 and maintain the necessary documents for audit purposes. Small Purchase $3,000 or less Best obtainable price Documentation demonstrating best obtainable price must be maintained by Department for auditors’ inspection. These minimum requirements for transaction thresholds apply to open order purchases (Open Orders PO and Blanket Orders). A single purchase in an amount greater than $60,000 shall be made only after notice that an Invitation to Bid or Request for Proposal will be received. An Invitation to Bid or Request for Proposal will be sent to vendors via Online bidding system. After invitation to bid opening, the CPO will indicate who the apparent responsive low bidder is and forward a copy of the bid results to the department for review. If the lowest bid is rejected, the department must state in writing why the bid did not meet specifications and recommend whether to accept the next lowest bid or to reject all bids. CPO will reissue an invitation to bid if no responses are obtained or if all bids are rejected. If approval has been given, from the department, to accept the low bidder, CPO will distribute the Purchase Order and contract resulting from an Invitation to Bid. Purchases shall be made at the lowest prices possible, with equal consideration to quality and availability. A resident New Mexico supplier/New Mexico Veteran supplier shall be extended an in-state preference for invitations to bid and requests for proposals as defined in the State of New Mexico Procurement Code. The supplier must have a valid in-state certificate issued by State of New Mexico Taxation and Revenue that should be submitted with their bid or offer. This stipulation does not apply to purchases involving federal funds. When the Central Purchasing Office (CPO) makes a determination that the use of invitation to bid is impractical, the purchase shall be made by issuing a Request for Proposal (RFP). A department shall complete a Purchase Requisition and provide specifications or scope of work for the services or items to be procured. Each RFP shall state the relative weight to be given to the factors in evaluating the responses. The CPO will work with the requesting department to assign evaluation criteria. Vendors may be afforded the opportunity to submit best and final offers prior to the award of an RFP. Negotiations may be conducted with the vendor whose proposal shows the most promise for selection for award. The content of any proposal shall not be disclosed to other vendors until award is made. The award shall be to the vendor whose proposal is the most advantageous to NMSU. Under no circumstance should a university official, representative, or employee accept the responsibility of delivering an invitation to bid or request for proposal to the CPO. The Central Purchasing Office (CPO) will, when possible utilize an Electronic Bidding System for the distribution, receipt, and analysis of quotes, bids and Request for Proposals. When equipment or service procurements require installation and the combined cost exceeds $60,000, wage rates will be requested from the New Mexico Labor Commission by Facilities and Services. Requests for repairs should be processed on a work order through the NMSU AiM System. Requests for alterations to buildings, electrical, plumbing, carpentry work, and related items should be submitted to Facilities and Services (FS). FS will make a determination as to the project delivery method and will insure that all applicable codes and state regulations related to building alterations are followed. Remodeling projects over $60,000 and new construction projects will require a competitive sealed procurement. Requests for planning and design of these projects should also be made through FS. All contractors awarded a Purchase Order must have appropriate licensure for the type of work to be performed at the time they submit their bid, and prior to the start of a project must provide a Certificate of Insurance, and when applicable, a Performance Bond, and a Labor and Material Payment Bond. Detailed information regarding construction policy, procedures, licensing requirements, bonding and insurance can be obtained from the CPO. Construction contractors shall have in force, during the life of any contract, insurance as required by the contract documents. The contractor shall purchase and maintain statutory limits of Workers Compensation, public liability, and automobile liability insurance as approved by the Board of Regents (BOR) at the time of signing of the contract. The Certifications of Insurance shall be executed by an insurance company authorized to do business in the State of New Mexico. The BOR shall be included as a loss payee and/or additional insured. All construction projects shall be accomplished in conformance with the policies outlined in Chapter 13, Article 4 of the New Mexico Statutes. Budgets for major construction projects ($300,000 or greater value) will be submitted to the BOR. Change orders must be made within budgeted funds which include the contingency fund. The intent of the contingency fund is to meet unexpected costs due to unforeseen conditions found during construction. a change in the total project cost of 10 percent or $100,000 whichever is larger. Change orders may be used to make additions to the project or complete unfinished space, or departmentally required changes, only after careful review to ascertain the cost is reasonable and when, in the judgment of FS, the addition is in the best interest of NMSU. Change orders will be issued for corrections of errors in the plans and specifications only for that portion of the cost that would have been included in the bid price had the error not been made. No change order will be issued when corrections needed are the result of the contractor’s mis-interpretation of the contract documents. This is the contractor’s responsibility. When corrections needed are the result of the design professional’s error or omission, FS will negotiate a resolution as part of the services provided. On each project, including community campus projects, the Associate Vice President of Facilities and Services, or designee, will confer with the appropriate administrators, or their designee, prior to the execution of change orders involving significant changes in the project. In order to ensure a smooth execution of contractor construction effort, the NMSU construction manager will exercise day-to-day control over required routine field change orders. The use of a field change order will be determined by considering the urgency, cost, and effect on the overall project. The accumulation of field change orders into a change order will be submitted monthly. This will provide a monthly accounting, for payment to the contractor. Change orders shall be approved by the Central Purchasing Office when processed for payment. All field change orders and all change orders are the responsibility of the Associate Vice President for Facilities and Services and require approval. All federally-funded Purchase Requisitions and Purchase Orders shall identify the funding source, the type of award and agency award number. Section 4.20.05 covers justification requirements by the federal agency funding sources on professional services. 13-1-30 B NMSA 1978 states when procurement involves the expenditure of federal funds, the procurement shall be conducted in accordance with mandatory applicable federal law and regulations. When mandatory applicable federal law or regulations are inconsistent with the provisions of the Procurement Code, compliance with federal law or regulations shall be deemed compliance with the Procurement Code. NMSU will comply with CFR §§200.317-200.326. It is the responsibility of the originating department to ensure that Contracting Officer approval is obtained, when required. Equipment screening procedures may be found in section 1C.10.05. Purchase Orders $10,000 or greater (2 CFR § 200.67 – Micro-purchase, Memorandum Statutory Changes to the Micro-Purchase 6/20/2018) shall contain all flowdown clauses as required by the Federal Acquisition Regulations (FAR). These flowdown clauses will be attached to Purchase Orders by the Central Purchasing Office (CPO). Compliance with this paragraph is required on all applicable subcontracts. For awards that require certification regarding debarment, suspension, proposed debarment and other responsibility matters, verification that the supplier is not on the Excluded Parties List of Suppliers shall be included in CPO documentation. If the department originator determines that a noncompetitive purchase must be made, a Sole Source Justification form must be completed and submitted to the CPO. See section 4.40.75 for Sole Source Procurement. NMSU intends that businesses and small business concerns owned and controlled by socially and economically disadvantaged individuals shall have maximum practicable opportunity to participate in the performance of federally-funded contracts. In accordance with 45 CFR Part 74.43, the CPO shall ensure that there is maximum competition among contractors and that positive steps are taken to assure that minority firms, women-owned businesses, and labor surplus firms are utilized. The CPO will perform price or cost analysis on sole and single source procurements. Services performed by an individual, a medical provider, or a licensed professional such as an attorney, accountant, architect, or engineer require a Professional Service Contract (PSC). If the person is performing in the capacity of a temporary employee, the transaction should be processed through the NMSU Hiring system. Professional services equal to or less than $3,000 do not require a PSC form; however, those greater than $3,000 require a PSC form with the contractor’s signature. This form should reference the purchase requisition number and be forwarded to the Central Purchasing Office (CPO). All payments for services must be supported by a contractor invoice. Departments may procure professional services from an individual when the total expense is equal to or less than $3,000, provided the vendor meets the criteria for an independent contractor, and there is no conflict of interest with employment. A PSC or a Purchase Requisition is not required when a person is being reimbursed for travel and lodging expenses only; these are to be submitted for reimbursement on a Direct Pay form. If the total lease amount (point 4 above) exceeds the cost amount calculated (under point 1), a justification for leasing versus direct purchase must be submitted to the Central Purchasing Office. Purchase Requisitions (PR) are the on-line requisitions entered into the Purchasing (Banner) System by a department. Regardless of the dollar amount a department is required to enter a PR prior to obtaining goods and services. The CPO will assist in obtaining quotes and issue sealed bids/request for proposal on all PRs as required (section 4.05). Regardless of the dollar amount some purchases do not require either a Purchase Order (PO) or Purchase Requisition (PR) but do require a Direct Pay Request for payment to be made. Purchase Requisitions (PR) are the on-line requisitions entered into the Purchasing (Banner) System by a department. Regardless of the dollar amount a Department is required to enter a requisition prior to obtaining goods and services. When amending Purchase Orders, there are two methods that may be used. The electronic c order through Banner is to be used when changing quantity, price, description of line items, adding line items or deleting line items. If the request is to change the funding Index (FOPAL) or Account, then the Purchase Order Funding Change Request form must be used. This form must be forwarded to your fiscal monitor if the change results in a dollar increase greater than $500 and the fund is a restricted or plant fund. Otherwise, the form may be forwarded directly to the CPO. All Change Orders will be processed into Banner by the CPO. All correspondence and communication concerning Purchase Orders over $3,000 shall be conducted by the CPO, unless the CPO grants the department express permission to communicate with the vendor. All Purchase Orders (PO) involving single items $1,000 or greater with a destination of the NMSU-Las Cruces campus will be sent to central receiving for initial delivery. Exceptions to this policy will only be the approval of the Central Purchasing Office (CPO). If an exception is requested, the request for exception shall be noted on the Purchase Requisition (PR) or correspondence separately sent to the CPO referencing the PR number. Central receiving will be responsible for initial inspection, coordination of and delivery to the appropriate departments, and inventory tagging of single tangible personal property items $1,000 or greater. If items processed through central receiving do not conform to the PO specifications, central receiving will assist in administering the return or other corrective actions with the vendor. POs delivered directly to the originating department, the department will be responsible for inspecting and accepting or rejecting deliveries. If the order does not conform to the PO specifications, the originating department must coordinate with the appropriate buyer in CPO for return or other corrective actions with the vendor. If central receiving or the originating department find that items received are not acceptable, notification to the vendor shall occur as quickly as possible. On all returns, written authorization from the vendor to return merchandise must be obtained before merchandise is returned. Certain vendors may levy a restocking fee. All tangible personal property purchases of $1,000 or more are tagged by the Central Purchasing Office and placed on the department property inventory list. Permanent equipment is defined as property valued at $1,000 or more, with a one year or more life expectancy. NMSU purchases not exceeding $50 per receipt may be made in the name of NMSU when necessary, provided receipts for payment are obtained at the time the purchases are made. Such payments shall not include taxes (except payments for services). Reimbursement to employees who have paid cash for the item will be made by means of a Petty Cash Voucher. Employees will not be reimbursed for taxes unless services were involved. The following sections provide detailed information on special procurement policies. Unless the CPO makes a determination that the essential characteristics of the brand names included in the specifications are commonly known in the industry or trade, brand-name or equal specifications shall include a description of the particular design, function or performance characteristics which are required. The CPO shall seek to identify sources from which the designated brand-name items can be obtained and shall solicit competitive prices. If only one source can supply the requirement, the procurement shall be made under Sole Source Procurement, section 4.40.75. All licensing, rental, maintenance, and lease agreements are not legally binding until signed by an authorized representative of the Central Purchasing Office (CPO). The CPO will forward agreements over $20,000 to NMSU’s attorney for additional review. The acquisition of tangible personal property by means of a contract in which the leasing agent (Supplier) conveys to the lessee (NMSU) the use of the property for a specified term. At the end of the lease term, the tangible personal property is either returned to the leasing agent or NMSU may have the option to purchase the tangible personal property. Leases are non-taxable transactions. A multi-term contract for items of tangible personal property or services may be executed for any period of time deemed to be in the best interests of NMSU, not to exceed four years (in some cases eight years), provided that the term of the contract and conditions of renewal or extension, are included in the specifications, that funds are available for the first fiscal period at the time of contracting, and that the lease is in accordance with New Mexico regulations. Payment and performance obligations for succeeding fiscal periods shall be subject to the availability and appropriation of funds. An emergency condition is a situation that creates a threat to public health, welfare, safety, or property such as may arise by reason of floods, epidemics, riots, equipment failures or similar events. The existence of the emergency condition creates an immediate and serious need for services or construction that cannot be met through normal procurement methods. An emergency procurement is permissible when an emergency condition exists. Purchases which could have been reasonably pre-planned or anticipated shall not be considered an emergency condition. A department shall inform the Central Purchasing Office (CPO) of an emergency condition and request authorization for emergency procurement prior to directing a vendor to provide goods or services. CPO shall authorize departments to make emergency procurement, provided that such emergency procurements shall be made with such competition as is practicable under the circumstance. The Department shall follow up with a written emergency justification form within three business days of event. The CPO will post the emergency justification form on its website for ten business days In accordance with State of New Mexico Procurement Code. For Honorariums refer to Accounts Payable section 5A.05.15 – Honorarium. Departmental orders for books, periodicals, microfilm, etc., should be processed as Purchase Requisitions (PR) in the Purchasing (Banner) System. The NMSU Library is exempt when purchasing these items for library use. A maintenance/service agreement is a contract between NMSU and a supplier, authorizing the supplier to perform routine maintenance and service on equipment owned or leased by a department. All service contracts must be signed by the Central Purchasing Office (CPO). A copy of the contract will be forwarded by the CPO to NMSU’s attorney for review, if applicable. When renewing a maintenance/service agreement, it is the department’s responsibility to provide CPO with updated rates from the vendor. The make, model, serial number, and NMSU tag numbers must be included on all maintenance and service agreements. Newspaper legal, display, and position advertisements may be processed on a Purchase Requisition (PR) through the Purchasing (Banner) System or by NMSU Procurement Card (PCard) prior to the date of publication. Allow longer lead time for advertisements in out-of-town newspapers or magazines. Reimbursement of non-employee lodging expenses is covered in section 5C.30.05. A prepayment is a request for payment before goods/services have been received. A prepayment is an exception to NMSU policy that requires that all goods and services must be received before payment can be approved. Prepayment should only be made when a vendor requires it for certain commodities (i.e. software, books, large equipment), or when prepayment is the normal form of payment (i.e. memberships, subscriptions). All vendor-required prepayments, with the exception of subscriptions and membership dues, require the approval of the Central Purchasing Office. The Central Purchasing Office has pricing agreements for many standard equipment systems and services that are repetitively requisitioned and have been competitively bid. Use of these agreements waives competitive requirements, in most cases. Allowed purchase: An acceptable transaction that utilizes the PCard in accordance with section 4.40.645. Approver: NMSU employee at an appropriate level who reviews purchases for allowability and appropriateness. Backup Approver: NMSU employee at an appropriate level who serves as a substitute for the primary approver. Cardholder: NMSU employee who has submitted an application and has been granted the right of purchasing for his or her department. This person is responsible for any activity on a PCard issued in his or her name. A cardholder may delegate responsibilities of reconciliation to another user but remains responsible for designee actions. CLPD: Center for Learning and Professional Development. Construction materials/services: Materials or services used in building, altering, repairing, installing, demolishing or similar work on buildings, facilities, structures or similar dwellings. Cycle Periods Calendar: Calendar is distributed to users as a reference of PCard deadline dates. The calendar is also available on the PCard website at pcard.nmsu.edu. Eligible PCard holder: NMSU regular employee, hired at 0.75 or greater full-time equivalent (FTE). Fraud: Any unauthorized activity or transaction performed on a PCard. FSA-RMR: Financial Systems Administration Records Management and Retention Office. Infraction: Notice received by a cardholder or approver for failure to follow PCard procedures. Issuing Bank: Wells Fargo Bank available 24/7/365 at 1-800-932-0036. Limited services: Services that can be purchased on PCard that do not require a formal contract and are completed within current fiscal year. Receipt Attachment: a scanned receipt imaging packet, uploaded into PCard system for every statement cycle with activity, which includes the issuing bank’s coversheet, the cardholder statement, and vendor receipts. Reconciler: NMSU employee who performs reconciliation of a PCard statement, as a designee of the cardholder. An NMSU employee, who meets the Procurement Card (PCard) eligibility requirements, with the approval of the college/unit may obtain a Procurement Card (PCard) to purchase limited goods and services. Purchases utilizing the PCard will follow procedures as established and maintained by Procurement Services. PCard purchases are subject to applicable NMSU procedures related to disbursements, section 4.40.465. Required trainings specified on the PCard website. Before a PCard is issued, the form referenced above will require Dean/VP/CC President (or designee) and Procurement Services approval. Procurement Services will verify training has been completed. Procurement Card (PCard) purchases should be made in accordance with the following procedures, unless an exception has been granted in writing, by the Director of Procurement Services and/or the Senior Vice President for Administration and Finance. NMSU is tax-exempt for purchases of goods; however, the University does pay gross receipts tax on purchases of services. It is the cardholder’s responsibility to notify the vendor of tax-exempt status and obtain a refund if tax is inappropriately charged. It is the cardholder’s responsibility to contact Issuing Bank immediately to report fraud or disputed transactions. The cardholder should ensure credits received from the Issuing Bank are applied to the correct index and account code. Cardholders must call the Issuing Bank immediately and notify pcard@nmsu.edu in the event of a lost, misplaced or stolen card. Failure to make timely notifications could result in the department being responsible for unauthorized transactions. Cardholders are responsible for ensuring a credit is received and applied to correct index and account code. Receipts are required for all PCard transactions and must be maintained by the department for each cardholder. Cardholders shall follow RMR retention guidelines for Procurement Card receipt imaging. Cardholders have six (6) calendar days from the date of PCard system notification to reconcile a statement in the PCard system. If the statement is not processed within the allotted timeframe, the statement will be forwarded to the designated approver and the cardholder will receive an infraction notice. Cardholders shall submit into PCard system a receipt imaging packet that includes Issuing Bank’s coversheet, cardholder statement, and vendor receipts for every statement cycle with activity. If any change in employment status occurs, such as termination, transfer, or change in employee FTE, contact pcard@nmsu.edu. In the Pcard system, only decline those transactions that are unallowable purchases. Enter a description of the reason each transaction was declined. A Procurement Card (PCard) approver/backup approver has responsibilities for reviewing and approving cardholder statements in the PCard system. In addition to the previous procedures the following apply to approvers/backup approvers. Approver required training is provided by CLPD. Register through Training Central. If a statement is forwarded to the approver, for which a cardholder missed the deadline, it is the approver’s responsibility to enter a purpose, account code, index, and description into the PCard system. Additionally the approver/backup approver should submit the receipt imaging packet into the PCard system. An approver has seven (7) calendar days from the date of PCard system notification to review and approve a statement. A subordinate should not be assigned to approve the transactions of their direct supervisor. An approver should be an employee with sufficient knowledge of the type of business that the cardholder conducts, to add value to the approval process and ensure purchases are appropriate. An employee may not be the final departmental approver of his or her own PCard transaction. Approvers/Backup Approvers should ensure the receipt imaging packet submitted into the PCard system includes Issuing Bank’s coversheet, cardholder statement and vendor receipts and is legible and properly attached. University unallowable purchases should be declined in the PCard system. PCard restricted purchases should be processed as Approved-Misuse in the PCard system. If a transaction is declined as unallowable in the PCard system, an email must be sent to pcard@nmsu.edu by the decliner and Procurement Services will set up an accounts receivable in the cardholder’s name. The cardholder will be notified by e-mail of the unallowable transaction and balance of the amount due. It is the cardholder’s responsibility to remit payment to University Accounts Receivable for the unallowable charge. If a vendor applies unallowable tax to a purchase, the amount of the tax must be split from the remaining transaction and declined in the system. The cardholder is responsible for receiving a credit for the tax and ensuring it is applied to the correct index and account code. If a purchase needs to be applied to multiple index numbers or account codes, the transaction can be split in the PCard system by amount or percentage during the reconciliation period. Having an NMSU Procurement Card (PCard) is a privilege that requires adherence to business procedures. Any gross misuse of the PCard may result in immediate suspension of PCard privileges, if so deemed by the Director of Procurement Services and/or Senior Vice President for Administration and Finance. *Infraction may be issued to cardholder and departmental approver for non-compliance. Individual’s Dean/VP/CC President and supervisor will be copied on each infraction issued. A non-compliance infraction will remain active for twenty four (24) months and then be removed from the individual’s record. Compliance reviews will be performed by PCard Administration. Travel-related expenses, other than airfare (example: hotel, car rental, gas, meals, train fare, bus fare, and internet connections). Employee awards directly related to employment (example: plaques, gift certificates). For university unallowable purchases refer to the BPM Section 4.00.45 Unallowable and Restricted Purchases. Requests for exceptions will be reviewed on a case-by-case basis. When procuring used items with an estimated cost of five thousand dollars ($5,000) or more, the procurement shall be treated as if procuring new items. An employee may purchase goods and/or services out of pocket and process a request for reimbursement on a Reimbursement Voucher when an urgent situation exists. An urgent situation is defined as a situation where a purchase is required due to some urgency of need and cannot follow the standard purchasing procedures, either for lack of access to departmental Procurement Card (PCard) or requisitioning, as it occurs after normal working hours. Purchases which could have been reasonably pre-planned or anticipated are not considered urgent. Reimbursement Vouchers must be accompanied by receipts that indicate that no balance is due. All receipts must be identifiable as to payee, and nature and amount of expenditure. Any information not on the receipt must be added by the department; all such additions must be attested to by the employee’s signature on the receipt. If an urgent situation exists and is in excess of $500, a justification for reimbursement approved through the Dean or Director/Department Head’s office must be submitted with the Reimbursement Voucher, explaining the urgency. The CPO Director will review the justification to approve reimbursement. The process of urgent purchases does not authorize exceptions to or deviations from New Mexico statutes or procurement code regulations. Purchases of items offered at a conference/seminar or other similar purchases while on travel may not exceed $500. A contract may be awarded without competitive sealed bids or competitive sealed proposals, regardless of the estimated cost, when Procurement Services makes a determination, after evaluating the Sole Source Justification submitted by the department, and after conducting a good-faith review of available sources and consulting the originating department, that there is only one source for the required service, construction, or item of tangible personal property. Procurement Services shall conduct negotiations, as appropriate, as to price, delivery and quantity in order to obtain the price most advantageous to NMSU. Sole source procurements exceeding $60,000 are required to be posted on the NMSU website for 30 days prior to award. The University is required to post specifications/scope of work for requested goods/services, proposed vendor, and amount of purchase. The Sole Source Justification form will be subject to public scrutiny and will require expanded details. If the sole source justification is “per terms of grant or contract driven”, Procurement Services will require justification of why it is required for a grant or contract and why other substitutes are not acceptable. Vendors will be able to view a potential sole source award and challenge or protest. If 15 days elapses without a challenge, a sole source purchase can be awarded at the end of the 30 day posting period. If the sole source is challenged, a formal bid or request for proposal may be required. Departments need to plan well in advance of a sole source purchase. A single source purchase is when a service or good is available from multiple vendors (sources); however, NMSU has contracted with a single source (vendor) to obtain the service or good. The contract is usually based on award of a competitive procurement. A single source can also be a single quote from a single source (vendor), when multiple vendor quotes are not required. Departments are not authorized to sell, trade, or dispose of any item of any reasonable value at any time. This function shall be handled by the Central Purchasing Office (CPO) only. When a purchase involves a trade or exchange as partial payment, a description of the property and the NMSU tag number is required on the Purchase Requisition (PR). When appropriate, the CPO will inform prospective bidders of the location where the used property can be examined. The sale price of the new article and the trade-in allowance for the used item must be stated separately. The difference between the sale price of the new article and the trade-in allowance shall be deemed the bid of the seller. When trading or exchanging used items with estimated values exceeding $10,000 as partial payment on new item(s), a written independent appraisal of the item(s) to be traded or exchanged is required. Tagged personal property cannot be deleted from the NMSU property inventory without prior approval of the Board of Regents and State Board of Finance. Equipment deletions will be reported to the State Auditor. Purchases not properly authorized in advance by the Central Purchasing Office (CPO) will require a written statement of justification to the CPO by the person originating such a purchase and approved by Dean or Director/Department Head. Such purchases will be considered on a case-by-case basis; however NMSU’s position is that such a purchase is the PERSONAL obligation of the person originating such a purchase. A willful violation of the procurement code is a fourth degree felony for purchases over $50,000 and a misdemeanor offense for purchases less than $50,000. A conviction of a fourth degree felony may lead to a ban from voting, imprisonment for up to 18 months and/or fines up to $5,000. This will have no impact to departments provided a purchase order is in place before receiving goods or services or notification of emergency is given to the CPO. NMSU Departments seeking to acquire a vehicle or vehicles must submit a Vehicle Acquisition Request form signed by the College Dean or Vice President responsible for that department and a completed Vehicle Assignment Authorization form to Transportation and Parking Services for each proposed vehicle to be acquired by purchase from a vendor, interdepartmental transfer or donation by person entity outside of NMSU. Additional information may be obtained in NMSU Policy Manual Chapter 9-Section 9.33 Vehicle Assignment Policy. Note: Refer to the BPM, Chapter 7, for Employment Tax Issues for Personal Use of University Vehicles. Immediate notice of vehicle accidents is required by New Mexico Statutes, Section 66-7-206. The driver of a vehicle involved in an accident resulting in injury to or death of any person, and/or property damage to an apparent extent $100 or more, shall give notice of such accident to police authorities. If the accident occurs on the Las Cruces campus, notify the NMSU Police. If the accident occurs within a municipality, notify the local police; otherwise, notify the County Sheriff or the nearest office of the New Mexico State Police. The individual involved in the accident must report it immediately to the Department Head and the Central Purchasing Office (CPO). Obtain police report or other law enforcement agency report. Send memorandum stating the details of the accident to the CPO. If the University is at fault, the responsible department is charged the current insurance deductible. If the University is not at fault, the CPO will file a claim against the State of New Mexico Risk Management Division. While operating within the United States, NMSU’s fleet of rented, leased, and owned vehicles is covered for both auto liability and auto physical damage through the State of New Mexico Risk Management Division. In order to drive any vehicle from NMSU’s fleet, an employee must be in compliance with state motor vehicle laws. This includes being in possession of both a current State of New Mexico license and an NMSU license issued through Environmental Health and Safety. The State of New Mexico covers all university-owned, rented, or leased vehicles for physical damage with a deductible for comprehensive and collision per occurrence. The following guidelines are intended to address the most commonly encountered agreement options and how they should be handled by employees. Questions regarding other options should be forwarded to the Central Purchasing Office (CPO). The State of New Mexico Risk Management Division provides insurance for physical damage on vehicles rented, leased, or loaned. This coverage comes with a deductible per occurrence. If renting a vehicle using an NMSU-sponsored BMO Financial Diner’s Club Card, further coverage is available based on our respective corporate agreement. If renting or leasing a vehicle outside of the continental United States, it is recommended that coverage be obtained through the renting or leasing company. This includes Hawaii, Alaska and U.S. Territories. When anticipating a trip into Mexico, allow two to three days to secure the documentation for the trip. This would include vehicle identification and documentation, NMSU authorization to enter Mexico and return with a vehicle, estimated time of departure and return through the ports of entry, and an insurance policy. Contact the Central Purchasing Office (CPO) for further information. All university departments and offices that make purchases of goods and services or that contract with others to make purchases are encouraged to purchase and use of materials, products and services that best align with the University’s commitment to protect and enhance the environment. Sustainable purchasing is the practice of procuring goods and services that causes less harm to the environment and the procuring of products that are manufactured with more environmentally-friendly materials or which are produced with minimal impact to the environment. NMSU encourages suppliers to provide products and services to meet the environmental objectives of NMSU. NMSU will strive to purchase only ENERGY STAR® or EPEAT computers and appliances or those certified by the federal Energy Management Program as energy efficient. NMSU will consult, and deploy where possible, the Energy Efficiency incentive programs of El Paso Electric Company, CleaResult, and all other energy service providers and manufacturers when purchasing energy-consuming (electric and gas) equipment. NMSU Purchasing will encourage sustainability initiatives and ask experts from University Departments and Office of Sustainability to assist in identifying and contributing to bid specifications that encourage sustainability products and services. NMSU will integrate Green Purchasing concepts and products into architectural designs, final construction documents, and the final construction of all new buildings and renovations. New buildings and remodels over 15,000 square feet will meet LEED Silver rating through U.S. Green Building Council. Request for Proposals may also request and encourage responses that bring forward ideas to promote sustainability and recycled products. Additionally, vendors will be asked to provide responses that consider, and deploy where practicable, the Energy Efficiency incentive programs of El Paso Electric Company and all other energy service providers and manufacturers. Vendors will be instructed to provide information on waste minimization, recycled content and recyclability of products and equipment. Evaluation criteria may include an element to award points to responses that employ sustainability features. Materials Management Services is an operation of Central Purchasing Office and is established to facilitate the materials management needs primarily for Facilities and Services (FS) and Housing and Residential Life (Housing). It carries out this objective through the ordering and distribution of materials, supplies, and tools to be used by the FS shops and Housing Sub-warehouses in the accomplishment of their projects and work orders. In the event that materials or supplies are needed outside of normal working hours, on-call staff may be contacted to facilitate the needed materials or supplies. A list of on-call staff shall be given to the FS Work order Desk and Housing Sub-warehouses on a weekly basis.